Updated at 5:33 p.m. on Tuesday, August 14, 2018, with more information. NASHVILLE, Tenn. (AP) — Prosecutors are seeking a court hearing after the suspect in a deadly shooting at a Tennessee Waffle House was deemed presently incompetent for trial and in need of hospitalization. 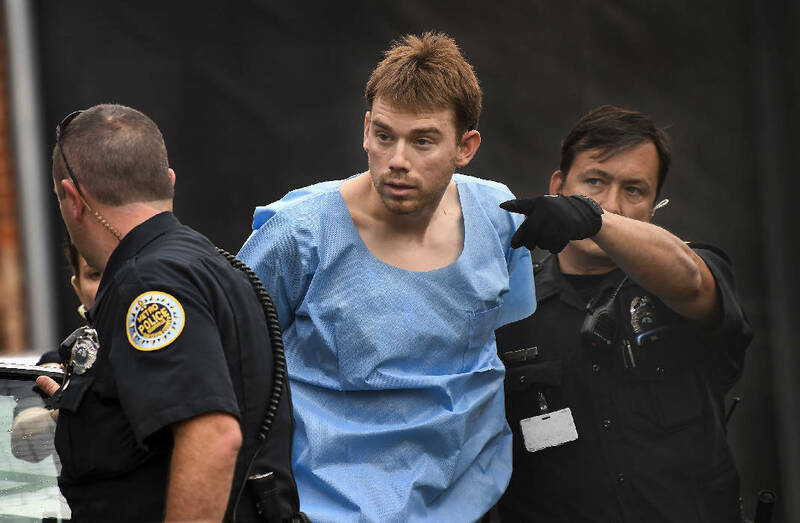 Nashville Deputy District Attorney General Roger Moore filed the motion in 29-year-old Travis Reinking's case Tuesday. The filing says a mental health institute notified the judge last week that Reinking is currently not competent to stand trial and needs immediate judicial hospitalization. Authorities say Reinking used an AR-15-style rifle to fire upon the Nashville restaurant April 22, killing four people. WTVF reported Reinking called one of its reporters from jail in May and said he's "perfectly healthy" when asked about his mental fitness. Friends and relatives have said Reinking suffered from delusions and sometimes discussed wanting to marry singer Taylor Swift.